This is really creepy. 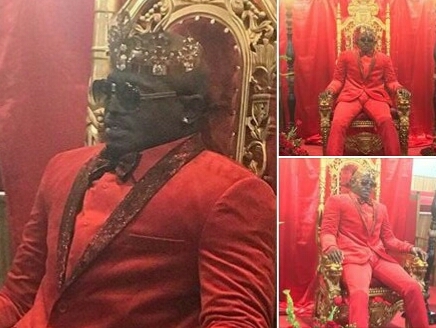 A man was dressed properly and made to sit on a 'throne' at his own funeral recently. 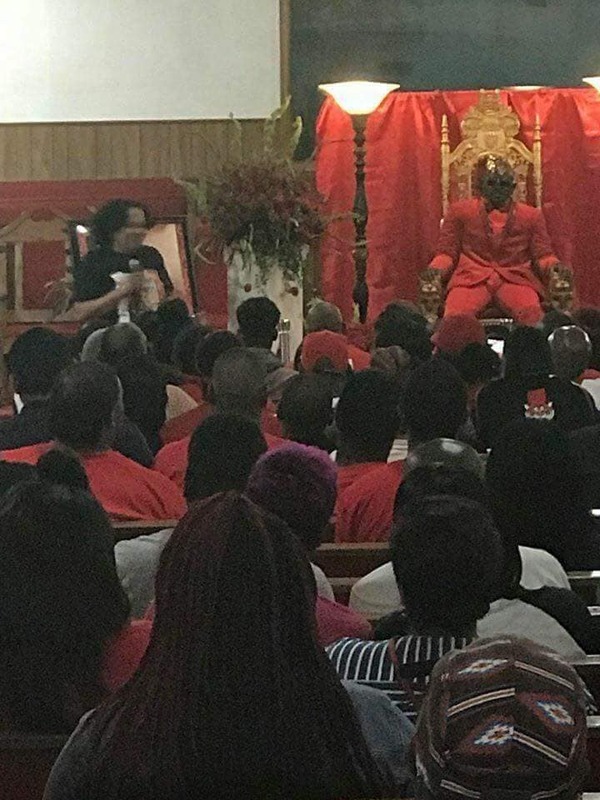 The unidentified man was dressed in red attire and a crown placed on his head as he was positioned on a 'throne' for the ceremony which saw his family and friends in attendance. 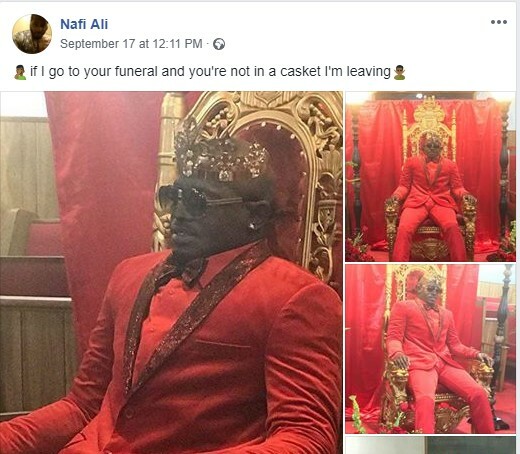 The pictures which have gone viral online was shared by Nafi Ali who wrote; if I go to your funeral and you're not in a casket I'm leaving.